Let’s face it, we all like gadgets. Even the most technologically challenged of us loves using the coffee maker, and just about everyone has a mobile phone. What new gadgets for 2016 will make us all stand up and pay attention? People have been telling the time for millennia but the new Pebble Time Steel watch takes telling the time to a new level. Anyone who’s used the Apple Watch will already be annoyed by the constant charging its battery needs, but you won’t find that problem with this watch as its makers promise 10 days of charge before you need to plug it in. The main reason for this difference is that the Pebble has an e-paper display rather than an LED or LCD screen. This one’s compatible with Apple and Android so there’s no excuse not to buy one in 2016. 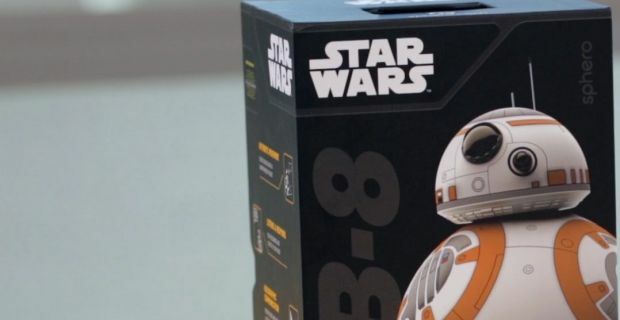 Even if you’re not into Star Wars, the BB-8 toy and Star Wars app is a must-buy gadget for 2016. This one connects to your smartphone or tablet via Bluetooth and then the BB-8 droid can be used to explore the world with you. This one offers holographic communication so you can record and view holographic videos using the smartphone app. The MIITO will prove a big hit in 2016. This revolutionary kettle only boils the amount of water you require so it’s ideal for that morning cuppa before work or the last cup of the night. All you need to do is to fill your cup with water and then place it on the base with the rod in the liquid. The MIITO does the rest. The Smarter Coffee machine is from the same team that created the Wi-Fi kettle. This machine can be operated by your smartphone, so you can lay in bed in the morning and ask the machine to grind and brew your coffee. Really want to know who Star Wars Daisy Ridley is? Let's find out!